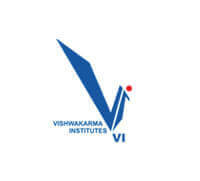 The Vishwakarma Institute of Technology, Pune is administered by the BRACT (Bansilal Ramnath Agarwal Charitable Trust). The trust was established in 1975. Since then the trust is known for running educational institutes; organising social and religious activities. The name of the college is inspired by the lord ‘Vishwakarma’ who is considered as the god of engineering. The VIT has the distinction of having an academic autonomy since 2008- 2009. It has 9 Undergraduate, 8 Postgraduate and 6 Ph. D programmes. The college is affiliated with the Savitribai Phule University, Pune. The college is selected by the Ministry of Human Resource Development for the TEQUIP – 1 (Technical Education Quality Improvement). The college is ISO 9001:2015 certified. The VIT imparts quality education to students by providing them access to the modern laboratories, library, sports, research facilities, and clubs. There are canteens, shopping complex, and banking facilities within the college campus itself. Admissions in the VIT College are done on the basis of applicant’s score in the IIT JEE Mains Paper1 exam. The candidate should have passed Class 12th / equivalent in the PCM subjects with a minimum aggregate of 55% marks. Admissions in the M. Tech courses are done on the basis of applicant’s score in the GATE exam. The candidate should have done B. Tech/equivalent from an AICTE recognised college/institution.